"Dresses of the early 1900s were often loosely tailored and simple with a slightly raised waistline. 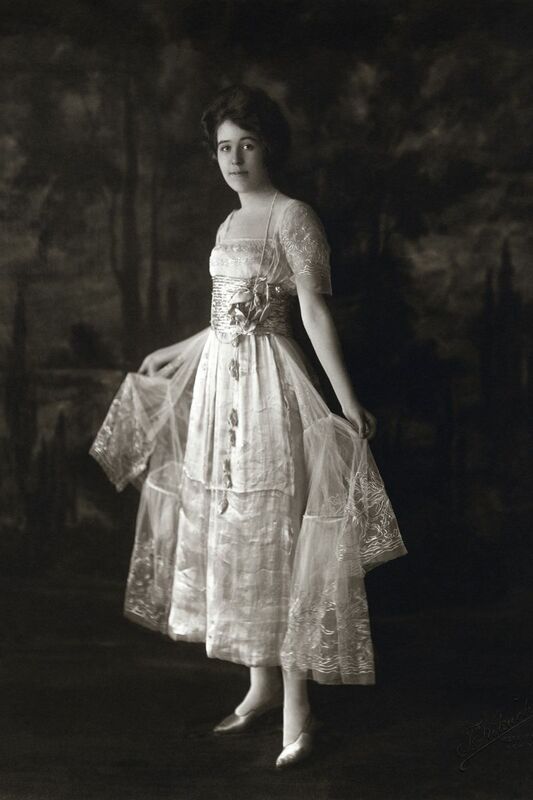 During the years between 1915 and the early 1920s, it wasn’t uncommon for a debutantes dress to be short. 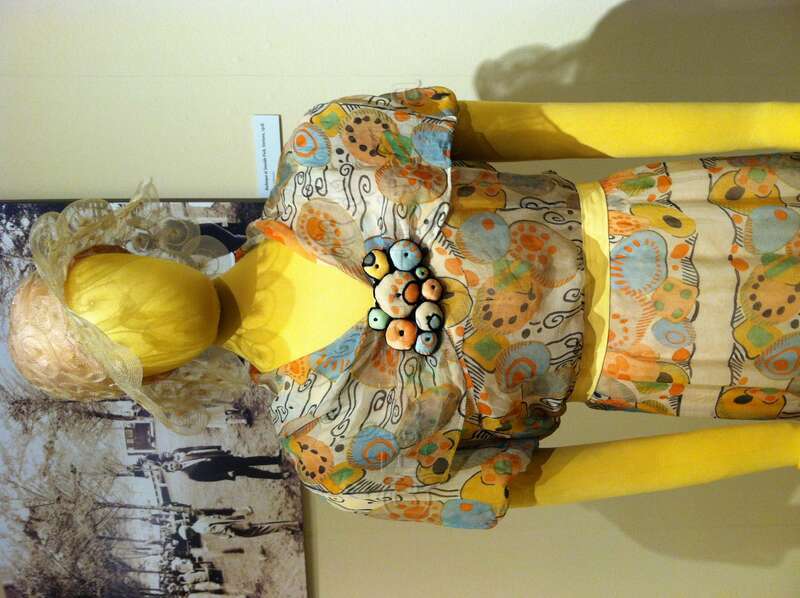 Audrey Hoffman, mother of Audrey Clinton, in her coming out dress made of silk, satin, and lace. New York, 1915." For those who love all things fabulous, there is nothing quite like a debutante ball gown to sweep you off your feet. 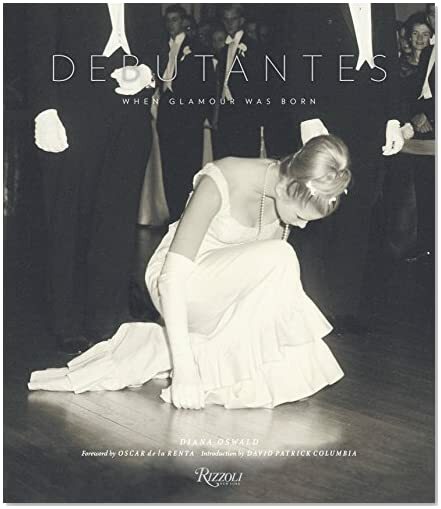 Debutantes: When Glamour was Born by Diana Oswald (Rizzoli International) offers a decadent peek inside the world of the debutant. Debutantes: When Glamour was Born includes 150 photographs by renowned fashion photographers such as Horst P. Horst, Bill Cunningham, Cecil Beaton and Toni Frissell (among others), as well as reprinted society pages, documenting high fashion worn by society women in both Europe and the United States during the 20th century. It makes special use of previously unpublished pictures from personal archives of several debutantes (including Lavinia Baker and Tricia Nixon, among others). 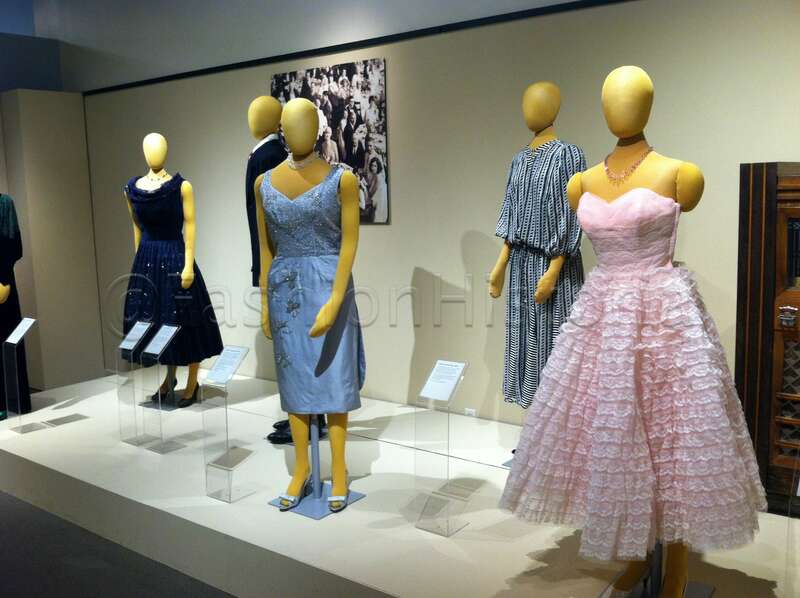 Gowns by the likes of Oscar de la Renta (who also wrote the foreword), along with Norman Norell, Norman Hartnell, Hattie Carnegie, Christian Dior, Coco Chanel, Mainbocher, and Madeline Vionnet, among other un-credited designers are included. According to the introduction by David Patrick Columbia, American’s adopted the practice of presenting a young lady into society (a key part of match-making for the wealthy) from Europeans in the 19th century. Surprisingly, American’s had stricter rules than did their British and French counter-parts. Columbia’s introduction goes on to highlight the role of the Waldorf-Astoria hotel in New York Cotillions, present pages of Town & Country, and provide details of society parties for Doris Duke, Barbara Hutton, and Jacqueline Bouvier (Kennedy). It is a brief though sweeping overview (that could use some source citation). "A master at creating shapes and silhouettes, Dior was known and sometimes even criticized or using over abundant amounts of fabric for just one dress. Chicago debutante Joan peterkin stuns in a strapless tulle and white satin Dior with white satin gloves. Chicago, 1949. Photo by Horst P. Horst." 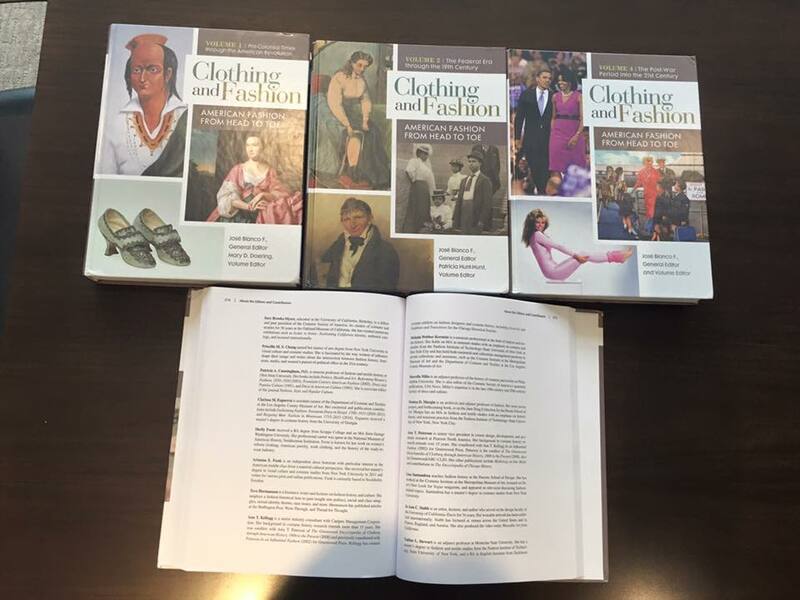 The gowns in this book are beautiful, but I think each chapter could have benefited from a short (two-page) introduction to provide better context and organization. That said, Debutantes: When Glamour was Born does provide photographic access to a very private world of the rich and famous with previously unpublished material, that could be useful to collections housing debutante gowns. 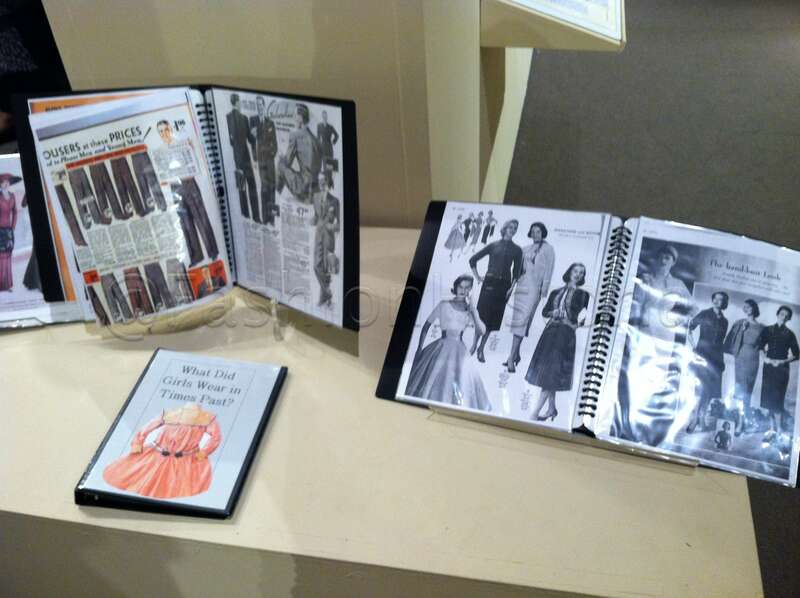 It will also most certainly appeal to those looking for inspiration for formal gowns from history, or to add a bit of glamour to the coffee table of the fashion enthusiast. Fore more on the book, see the New York Review of Books. 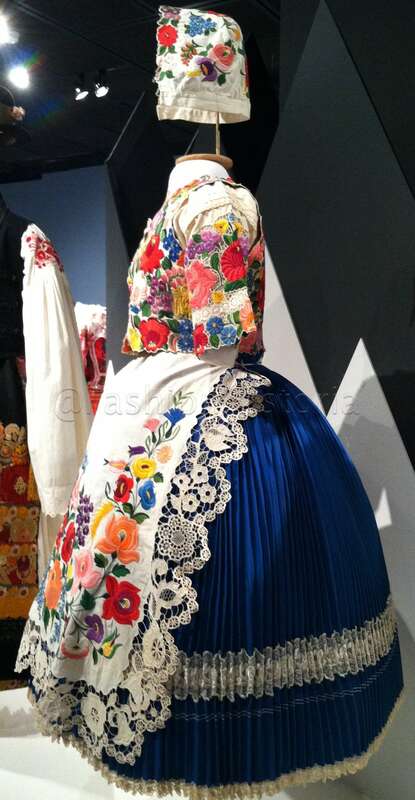 A few weeks ago I was lucky enough to attend the Costume Society of America program including a tour of “Wear to Party” at the Museum of Ventura County, as well as the tour of Lotusland with a lecture on Ganna Walska (the Polish opera singer) and the costumes designed for her by Erte. I’m going to go into too much detail (CSA Members can look forward to a writeup in our Spring 2014 newsletter of the event). 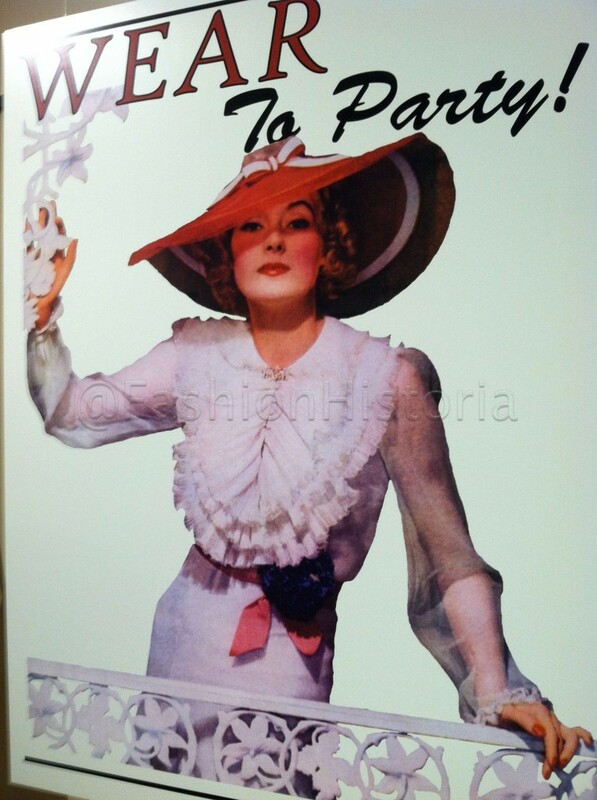 However, I do want to share a few photos from the tour of “Wear to Party” – which was fabulous, informative, and fun. 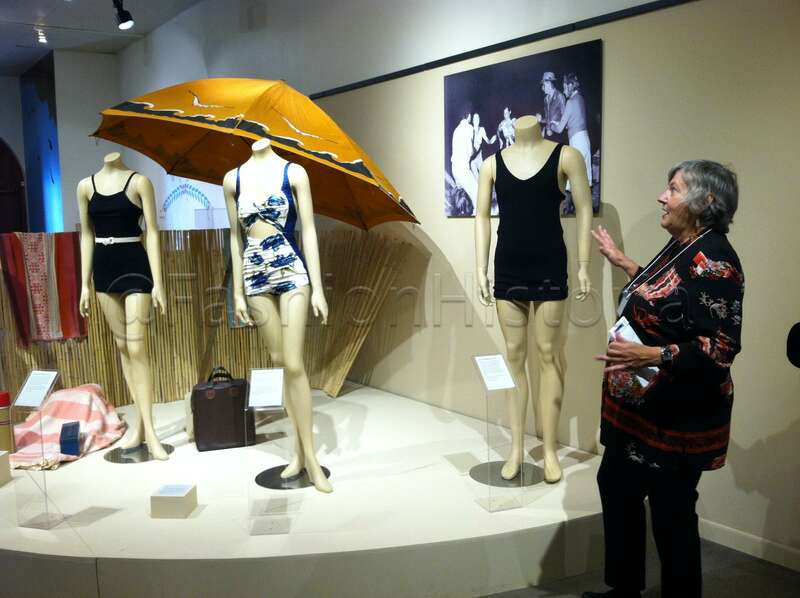 “Wear to Party” is an exhibit focused on the clothing worn while social entertaining in Ventura County, including beach parties, barbeques, dinner dances, and of the prom attended by local residents. Our tour guide was the volunteer curator (and former Smithsonian curator), Shelly Foote – whose knowledge seems endless. 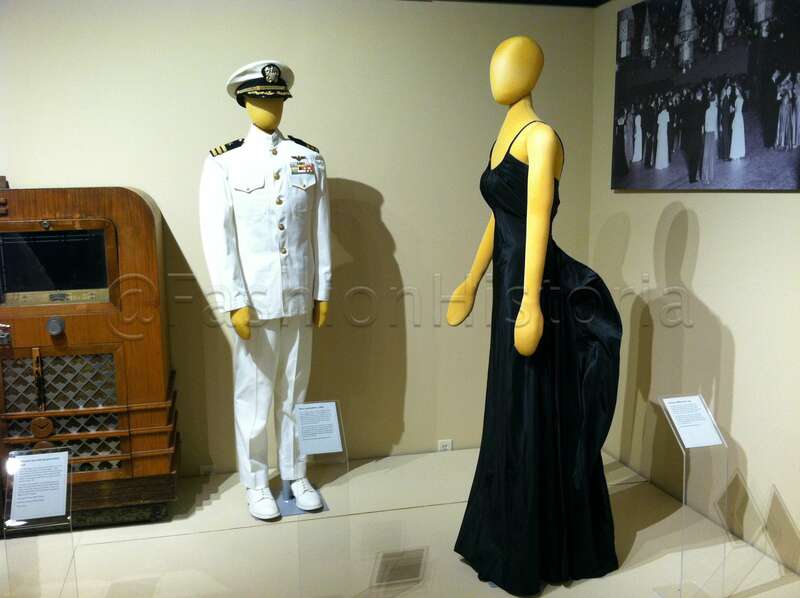 My favorites from the exhibit include several 1930s dresses: a garden party dress with a jellyfish print, a black taffeta evening gown with a dramatic back, and a black velvet gown with green beaded sleeves. 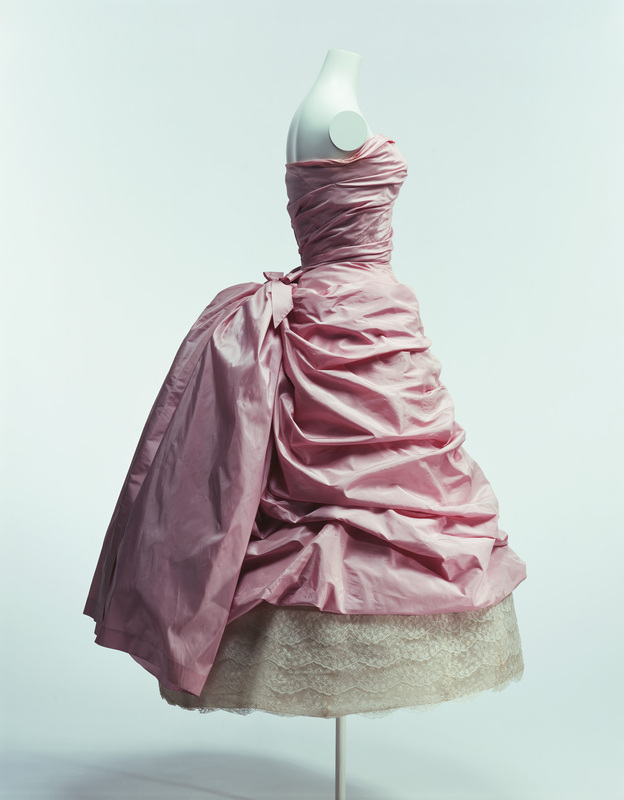 However, the pink Balenciaga-esque prom dress was also a favorite. See more below. 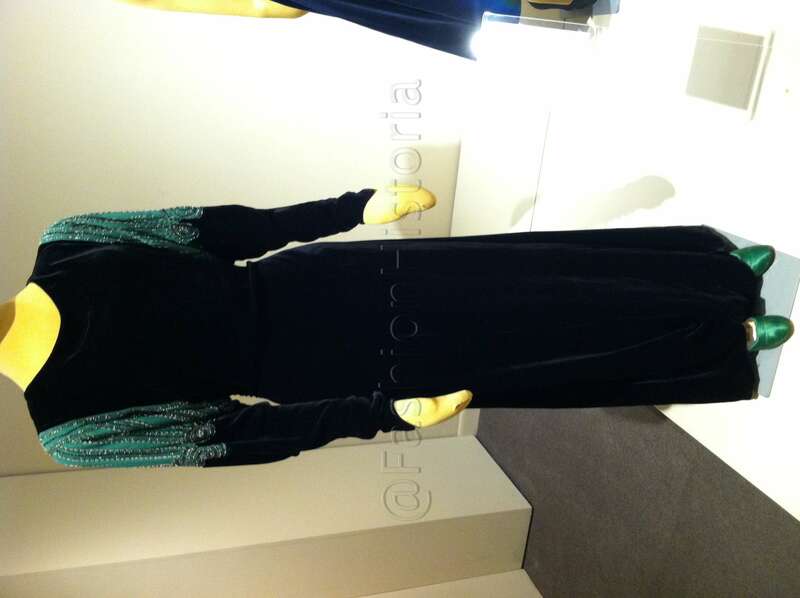 1937 Taffeta gown purchased at Burgdorf Goodman’s in New York while the own was heading to her honeymoon. 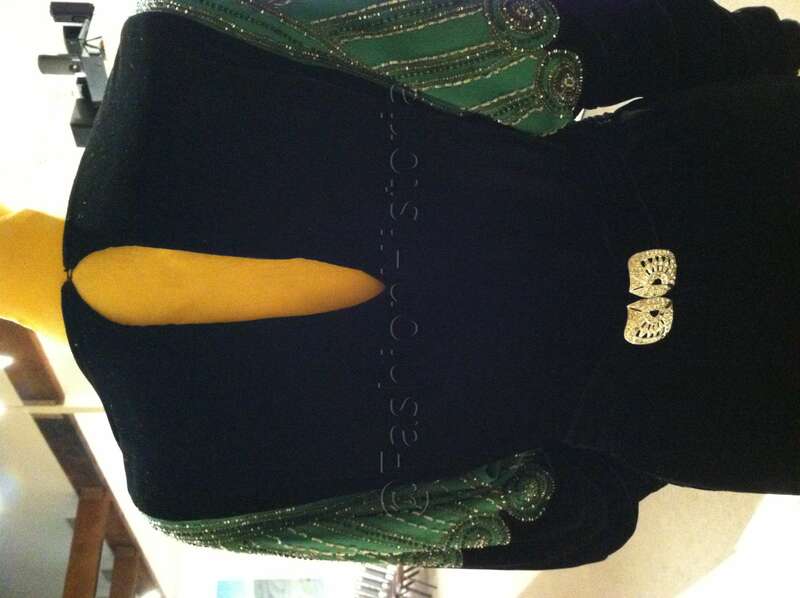 1934 velvet and rayon dinner dress (likely worn by the owner to the local 20-30 Club, a dinner-dance venue. Many of you will know that I’ve been doing a lot of research into the history of fashion in America. 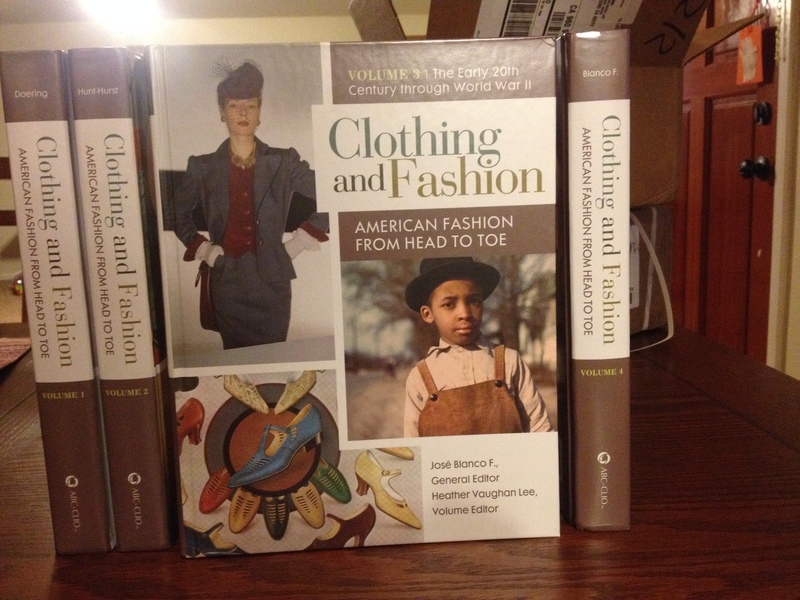 Happily, well-known historian Caroline Evans came out with a book this summer that fills a gap in the available research on early fashion shows. 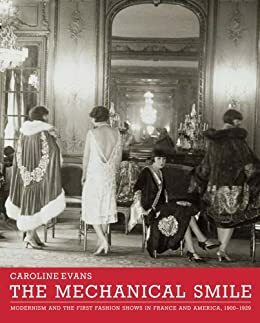 Her book, The Mechanical Smile: Modernism and the First Fashion Shows in France and America, 1900-1929 (Yale, July 2013) actually covers the 1890s through 1929 in both France and the United States, and relies on significant new archival evidence. 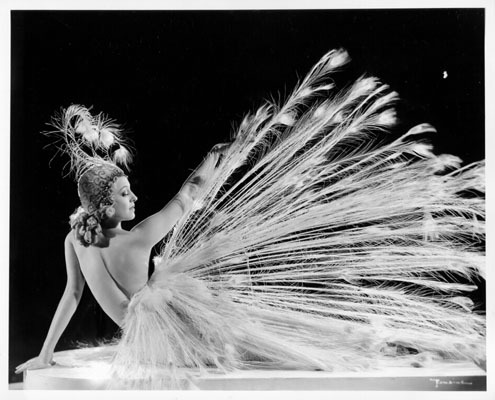 It not only includes close discussions of early fashion shows, but also their impacts on dance and early cinema. 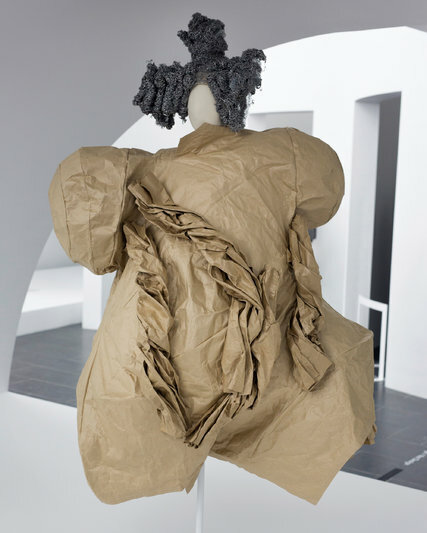 Twelve chapters divided evenly between discussions of fashion shows and of mannequins (models), this large format, 330 page book is heavily illustrated, and as a good resource should, includes endnotes, a bibliography, and an index. For my purposes (i.e. 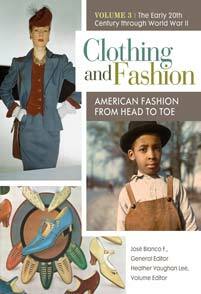 American fashion history), Chapter 4: 1900-1917 America was insightful and well-documented. 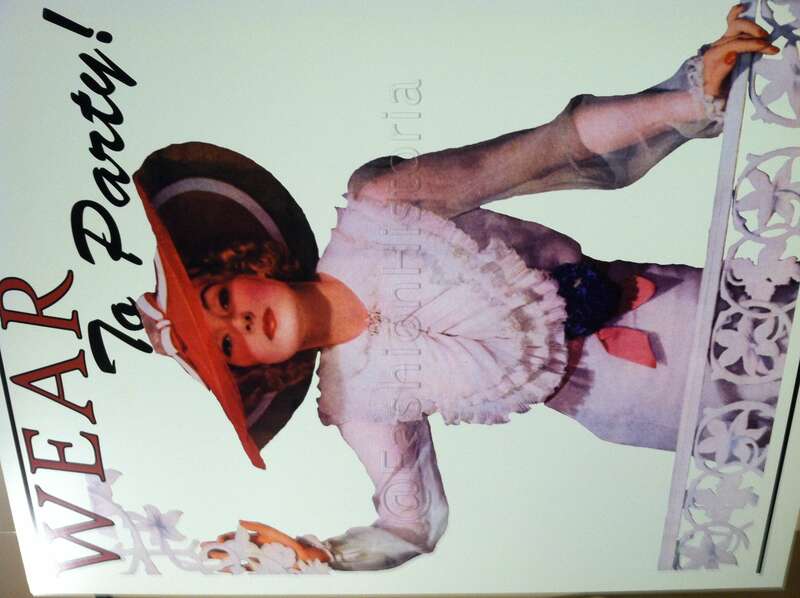 As is the premise of Marlis Schweitzer’s book, When Broadway Was the Runway, Evans spends some time discussing the theatrical connections of the first fashion shows in the US, especially the appeal they held for Broadway and Vaudeville producers. This included a two-week show in September 1903 at Madison Square Garden (more of a static convention than what we now think of as a fashion show) which included live fashion shows of French only designs (no American designs). Evans goes onto to describe the first department store shows – which also only showed French designers – including Wanamakers’ Napoleonic themed fashion show in 1908, Poiret’s American tour of Macy’s, Gimbel’s and Wanamakers in 1913, as well as these store’s own shows beginning in 1910. Not surprisingly, Lucile (Lady Duff Gordon), her models, and their New York presence are also well covered (and well illustrated). Here, FIT’s special collection of Lucile related ephemera plays heavily. The next section of the America chapter explores the rapid spread of fashion shows across the US (and across markets) after these early beginnings. Evnas notes, “From 1910 fashion shows began to be staged twice a year in Los Angeles and San Francisco, collectively organized by the major department stores and called the United Fashion Show.” The chapter goes on to talk about theatricality in American fashion shows: theme’s, dramatic structures, and other elements that American shows used to appeal to buyers and consumers. Evans’ three year fellowship to research and write the book certainly paid off. Her endnotes alone reveal how much research she did for this project, and the results are drool-worthy. She catches all the details one might need to learn more about a particular nugget in this fact-packed resource. I’ll certainly be using it as a resource for years to come. Earlier this month I had the rare pleasure of taking a Costume Society of America (CSA) Western Region tour of Resplendent Dress from Southeastern Europe: A History in Layers, the current exhibition on at UCLA’s Fowler Museum, with one of the world’s foremost historians on the earliest known clothing. 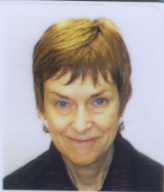 Dr. Elizabeth Barber is an expert in archaeology and textiles who has been become well known for her research on 20,000-year-old clothing, archaeological finds, and historical connections, since earning her PhD from Yale in 1968. Only twenty CSA Western Region members and guests would fit on this exclusive tour, and it was a pleasure not to be missed! 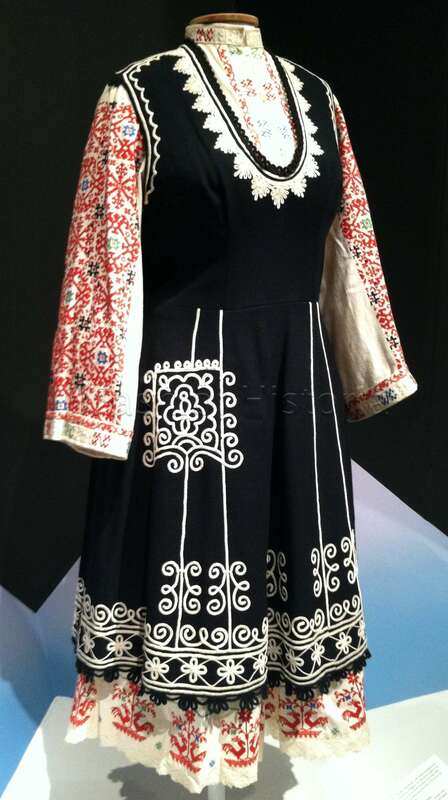 We not only learned a tremendous amount about the early history of clothing in Southeastern Europe (everything from Albania to Croatia to Romania and all points in between) – but we learned how the forms and symbols connected through history. The exhibition, tour and talk were not only informative but also beautiful. 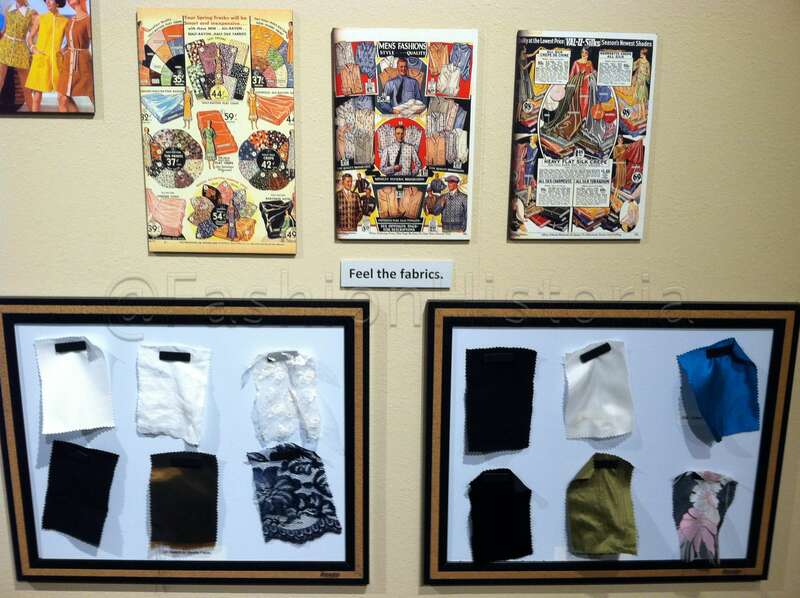 The garments on display were the best of the Fowler’s collection of folk wear from the 20th century, beautifully dressed, displayed, and organized. The detail in the handwork in each and every piece was breathtaking, awe-inspiring, and taken in all at once is mind-boggling. I could have stared at each piece for a lot longer just to look at the details. 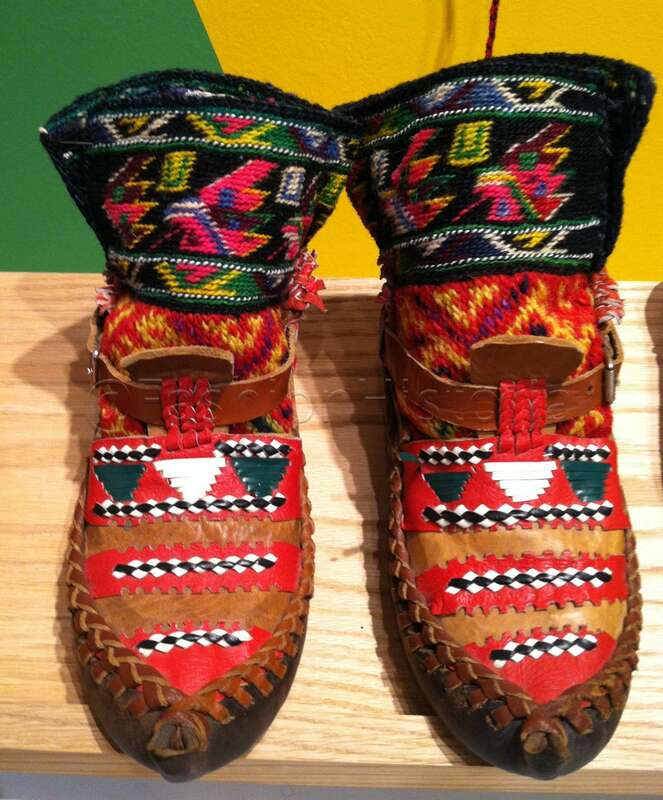 One of the best parts of the exhibition is the attention to detail: Many of the mannequins have complete ensemle -d own to the shoes and socks and up to the headdress. The exhibition is up through July 14th and is breathtaking. For more on the CSA Western Region tour of the exhibition, watch for the September issue of the CSA Western Region newsletter. To be the first to know about upcoming events and tours through CSA Western Region, Join here. Dr. Barber has also produced a wonderful book documenting her research and the exhibition (I bought my copy on the spot): Resplendent Dress from Southeastern Europe. First Rummage Sale in 20 years! Veteran’s Building, Fourth Floor, MPD main gallery – Come see what treasures you could snap up for a great deal. Thousands of theatre, dance, music, opera, musical theatre, and film-related books and memorabilia as well as exhibition materials, office and audio/video equipment, and other odds and ends will be available for purchase. Guests will pay one admission each time they pass through the sale and can take away all they can carry in one arm load (does not apply to specially priced items). Be sure to arrive early to get first pick of these treasures! Museum members will be allowed in at 11 am. The sale will open to the public from Noon to 4 PM. Proceeds from the sale go toward preservation of the Museum’s collections. Special Note: MPD sells only duplicates of material already in the collection, material donated specifically to be sold, or material which falls outside the scope of our collecting policy. 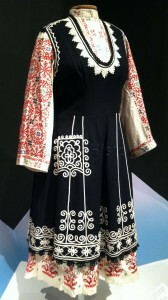 On the occasion of the Dance/USA Conference held this year in San Francisco, Museum of Performance and Design will display, for one day only, a selection of unique documents and costumes from the dance archives. The Museum will also give a tour of the regional hub of Dance Heritage Coalition’s Secure Media Network, which is hosted locally at MPD. The Secure Media Network is an online searchable database of streaming archival-quality dance footage. Choose from thousands of opera, theatre, dance, musical theatre and film-related items. These items are duplicate material from our library collection. Pay one admission for each time you pass through the Sale in the Main Gallery and take away as much as you can carry in one arm load. Individually priced items will be available for sale in the adjacent Reception Gallery. Proceeds benefit the preservation of MPD’s collections.